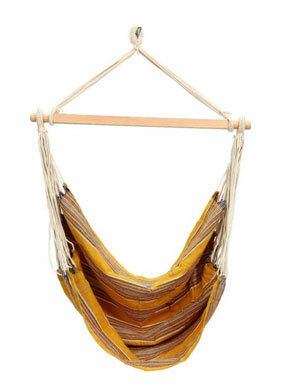 The swing is made from thick handwoven fabric and comes in wondeful array of colourful stripes. This swings lends an elegance when hung in you living room or balcony and sure to be your neighbours envy ! Made from cotton fabric & cotton rope.